ACS Underground Solutions was awarded several underground utilities clearance contracts by National Football League (NFL) event production and entertainment companies. These companies needed to pitch a virtual city of tents around the arena. They commissioned ACS Underground Solutions to mark out the underground utilities and clear these areas prior to the installation of grounding rods and generators. 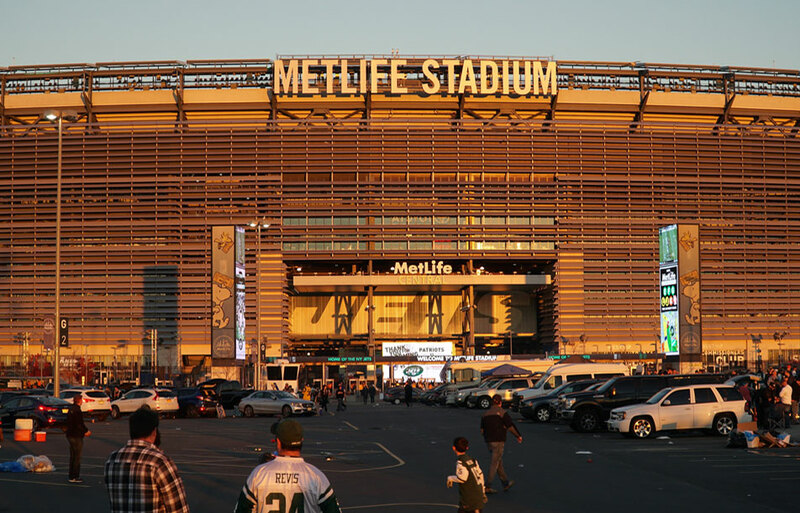 On a normal game day, parking capacity at MetLife Stadium and the greater Meadowlands Sports Complex is around 29,000 cars. For Super Bowl XLVIII only 11,000 parking spaces were available. Event production and entertainment crews transformed the majority of the area (about 18,000 parking spaces) into a security perimeter, staging area for satellite trucks and other support vehicles, and an area for warming stations and welcome pavilions. More than 1,117 tent pegs had to be driven 5-10 feet into the blacktop to accommodate all the tented stations. This worldwide NFL event required more than 60 generators just to provide additional power for pre-game hospitality, the media, and the halftime show. Those generators needed another 1,500 piercings driven 10 feet into the surface for grounding bars. The prior site knowledge and experience of ACS enabled us to successfully complete this project without mishap or underground utility damage even though temperatures were sub-freezing (20°) and we had to remove 12 inches of snow. The high security clearance for the Super Bowl was challenging, too. The Super Bowl project at MetLife Stadium took six weeks. It was precise, methodical work because ACS had to make sure the piercings didn’t hit any fiber optic, gas, electric, telephone, or water lines. Read the feature article about this project from Underground Construction Magazine.